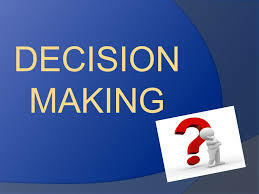 In the models of decisionmaking, you must have observed that any systematic approach to decision making starts with a proper definition of the problem. You will often experience that a problem well defined is a problem half-solved because the proper definition helped you to search at relevant place for promising alternatives. 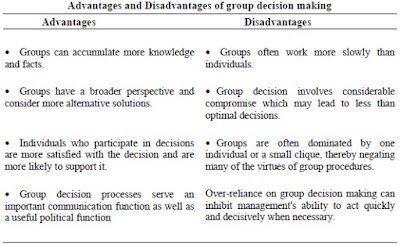 You would also agree that a "fair" approach to decision-making demands that parameters (for judging alternatives which are sometimes referred to as "criteria", "level of aspiration", "decision rules", etc.) should be explicitly developed before the alternatives are generated and not after. This imperative minimises the chances of unnecessary compromise which is the hall-mark of a low-quality decision. However, once you have developed the criteria, keep them aside and forget about them at the time of generation of the alternatives. This dissociation of criteria from the alternative-generation phase will improve your chance of coming up with a reasonably sufficient number of alternatives. You will understand the importance of generating a "reasonable" number of alternatives by the simple realisation that the quality of a decision can be no better than the quality of the alternatives that you identify. Generation of a reasonable number of good alternatives is usually no problem. Occasionally, however, developing a variety of good alternatives can be a complex matter requiring creativity, thought, and study. Three means for generating alternatives are particularly well-known. 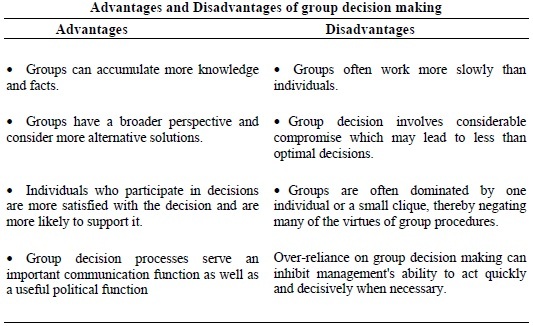 These are brainstorming, synectics, and nominal grouping. Brainstorming: Developed by Alex F. Osborn, brainstorming is the oldest and best known technique for stimulating creative thinking. It involves the use of a group whose members is presented with a problem and is asked to develop as many potential solutions as possible. Members of the group may all be employees of the same firm or outside experts in a particular field. Brainstorming is based on the premise that when people interact in a free and uninhibited atmosphere they will, generates creative ideas. That is, as one person generates an idea it serves to stimulate the thinking of others. This interchange of ideas is supposedly contagious and creates an atmosphere of free discussion and spontaneous thinking. The objective is to produce as many ideas as possible in keeping with the belief that the larger the number of ideas produced, the greater the probability of identifying an acceptable solution. Why is an organization created? What is its purpose? How best can it achieve that purpose? 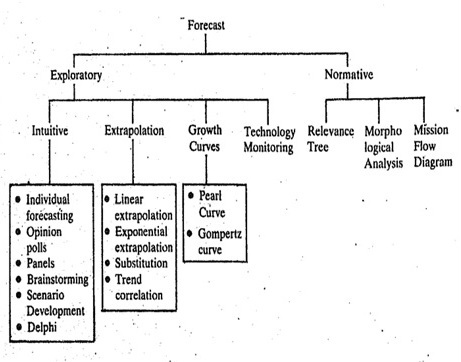 What methods and means will it employ to achieve the purpose? Various terms and concepts of mission, objectives, strategy, policy, programmes and procedures which will help you understand the management of organizations. The mission is the very reason and justification for the existence of a firm. Mission is always defined in terms of the benefits the firm provides to its customers and not in terms of any physical dimensions of the firm or its products. A firm exists and functions only in relation to the customer whose need(s) it satisfies.. If there were no customers there would be no firm. Thus the starting point for, defining the mission of any business is its customer. Since the customer exists outside the business, the mission must be defined from the outside. The firm must ask the questions "What is our business?" and "What should it be?" but seek the answer from the customer's viewpoint. 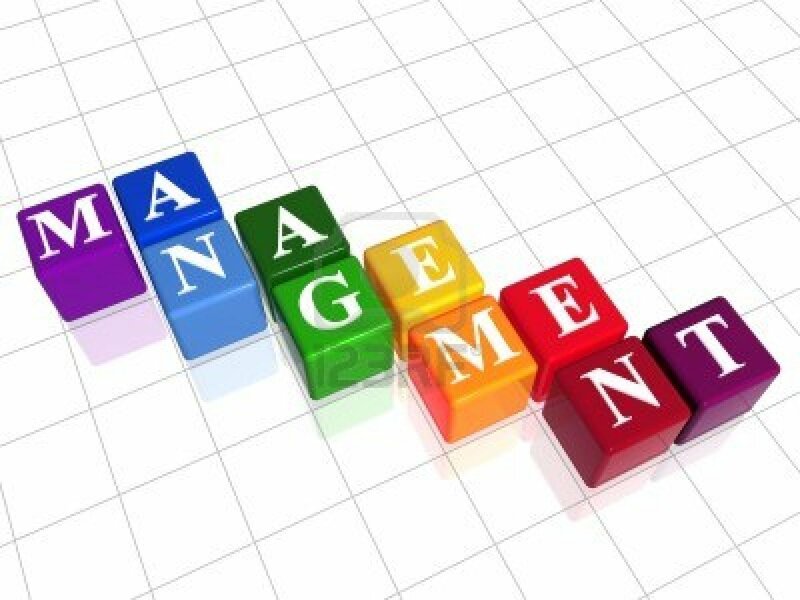 A manager is responsible for combining and coordinating the people, the technology, the job task and other resources to effectively achieve the objectives of an organisation. You may be a manager in charge of constructing a plant or managing a bank or supervising a group of life insurance agents or training a football team. In most of the situations, you have others who are your subordinates reporting to you. The subordinates themselves may be managers having subordinates below to report to them. Therefore, we talk of levels of managers in an organisation. The First Level Managers: These managers are in direct contact with the employees, who usually produce the goods or service outputs of an organisation. They are referred to as supervisors or foremen in some organisations. You may be associated with the employees who directly produce goods or render service outputs. Hence, your may belong to the first level managers. In some government offices, the superintendent of the office supervising the work of typists, despatch clerks, etc. belongs to this category. In the industry, it is the foreman, who is in direct contact with the rank-and-file workers, producing goods or services. The Middle Level Managers: These managers are those with a number of responsibilities and linking or connecting activities. They direct the activities of the first level managers. For example, a district educational officer or a block development officer belongs to the middle level with the principals of schools and gram servers reporting to the district educational officer and block development officer respectively. The Top Level Managers: The top level managers are a small group of policy makers responsible for the overall strategic management of the organisations. 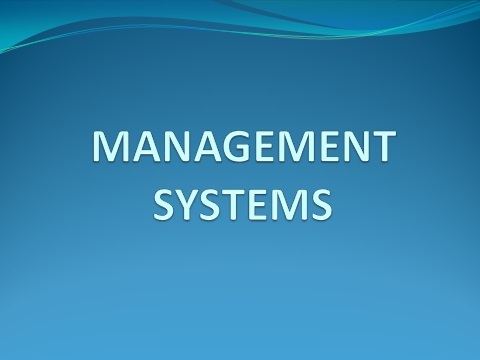 It is the responsibility of the top managers to develop the objectives and strategies of the organisation. It is the top management that must sense the demands of the political, social and competitive environments on the organisation. A President or a Chief Executive or a District Magistrate are examples of top managerial level. These skills refer to the personal ability put to use by the manager in specific position that he or she holds in the organisational hierarchy. An effective manager needs skills to plan, control, organise, lead, and finally to take decisions. In each case, a manager must exercise a unique set of skills. 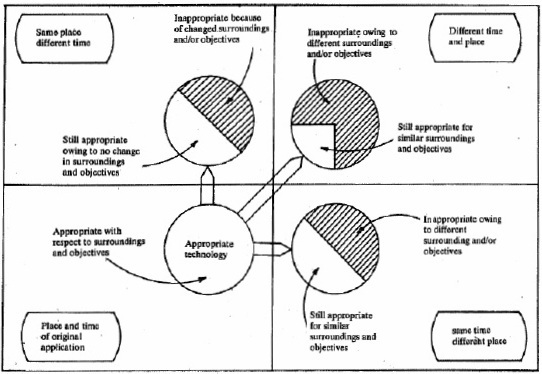 · ability to arrive at performance standards or yardsticks for monitoring the implementation of these strategies, etc. With growing complexity in the operations of large organisations, managers are expected to acquire skills to interact with intermediate planning systems such as a computer. As you have seen, planning specifies the future course of direction of an organisation. The organising process follows the planning process. 'While planning specifies what will be achieved when, organising specifies who will achieve what and how it will be achieved. 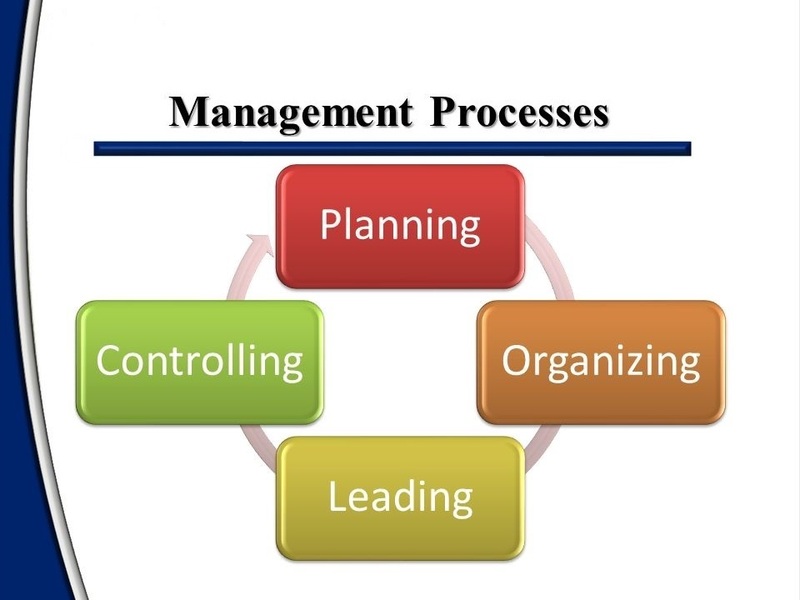 Four important management processes are planning, controlling, organizing and leading. 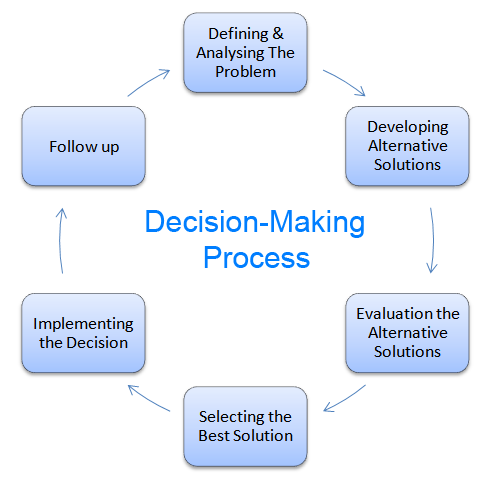 Decision making is an integral part of management process as all the other four processes involve Decision making. A particular manager may be more concerned with say, controlling and organising, while another may be more concerned with planning. The degree of involvement with each of these processes may vary from manager to manager, but essentially all managers have to be concerned with these processes. We shall first take up the planning process because only when there is planning can the other processes follow in logical sequence. 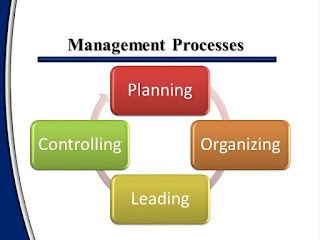 Planning is the most basic and pervasive process involved in managing. It means deciding in advance what actions to take and when and how to take them. 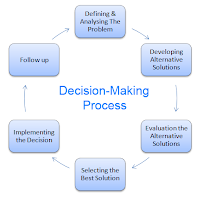 Planning is needed, firstly for committing and allocating the organisation's limited resources towards achieving its objectives in the best possible manner and, secondly for anticipating the future opportunities and problems. A firm is a social institution. Its very existence is dependent upon its harmonious relationships with various segments of the society. This harmonious relationship emanates from the firm's positive responsiveness to the various segments and its closely associated with the tasks a manager is expected to perform. The process of evolving this mutual relationship between firms and various interest groups begins by acknowledging the existence of the responsibilities of a manager. These responsibilities are towards customers, shareholders, employees, suppliers, distributors and retailers, competitors, unions, government and society. The manager must always remember that the customer comes first. The starting point for the business firm is an understanding of the needs of the customer, and the firm's foremost responsibility is towards the customer. There is a lot of confusion over the much widely used terms-professional management and professional managers. 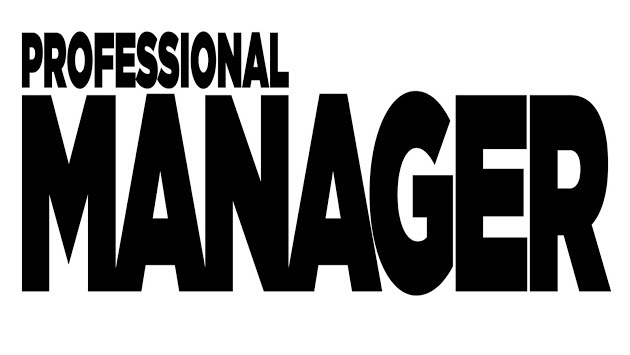 Some researchers contend there is nothing like professional management. Management is a discipline. 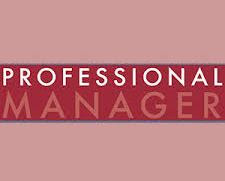 There are practitioners of this discipline who practise management as a profession and thus are, professional managers. 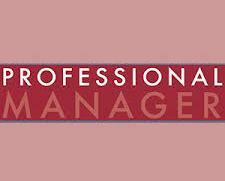 Just as there are doctors and lawyers by profession similarly there are professional managers. As doctors practise medicine, managers practise management. 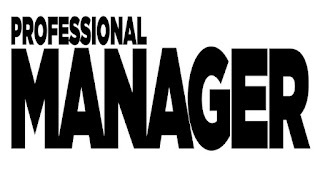 The only difference between professional managers and other professionals is that, while the latter must possess a formal degree in their discipline, a professional manager need not have a formal degree or education in management. He may have learnt the necessary skills and gained competence from his experience. The second characteristic of a professional manager is that his primary concern is the organisation or the company with which he works. This is true whether the manager works for a private or public sector or a multinational company; whether he is the executive director or the personnel manager reporting to the executive director. The professional manager always has his company's overall perspective in his mind and all his actions are guided by the company's objectives. The third and the most important characteristic of a professional manager is that he is responsible for performance. Managing involves collecting and utilising resources (money, men, materials and machines) in the most optimal manner for achievement of some pre-determined objectives or results. It is the professional manager's responsibility to utilise resources to produce the required results. Responsibility and performance are really the key words in defining a manager's role. 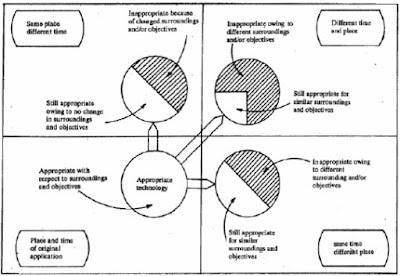 Performance implies action, and action necessitates taking specific steps and doing certain tasks. Let us first take up the various tasks which a manager is expected to do to produce results. A manager can be compared to the captain of a ship who has first to set the course to reach the destination and then steer the ship along the course. Similarly, a manager has to, first of all, set objectives which the firm must achieve. Objectives provide the direction in which the firm must move. Having decided upon the objectives, the manager must constantly monitor the progress and activities of the firm to ensure that it is moving in the desired direction. This is the first and foremost task of every manager. For all the countries, the most practical strategy for technology development-is to ‘make some and buy some'. This gives the advantage of selecting an appropriate area of specialisation and the potential to exploit the technology trade in the international market place. 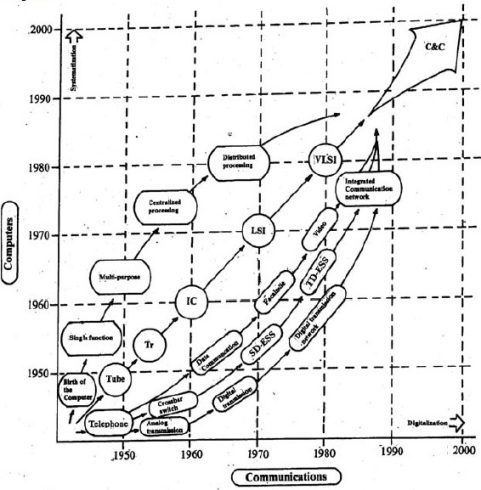 The complex process of technology development is schematically presented in Figure-1. The technological needs are derived from national socio-economic goals. A country's technology development strategy is then determined by combining these identified technological needs with potential technological developments in the world and a thorough assessment of available and emerging technologies. Then the Country determines a strategy to import technologies, which it cannot practically develop itself and identifies technologies, which can be produced locally. Now, there is a universal realisation that unless a concerted attempt is made to build local technological capabilities for absorbing imported technologies, any attempt to develop indigenous technologies encounters enormous difficulties. Even with regard to imported technology, it is essential for a country to be able to select, digest, adapt and improve it for local consumption. All of these efforts justify greater priority and allocation of resources to R&D. A pre-requisite for effective utilisation of R&D resources is the 'development of technological infrastructure within the country, including institution building, manpower development, provision of support facilities and creation of an innovative climate. i) It is important to be selective in self-development of technology. Emphasis should be given to total integration of all activities in the technology production chain to achieve self-reliance. ii) In selecting areas for development, a country can be inward looking in some areas and outward-looking in some other areas. iii) Import substitution can only be a temporary strategy. iv) In the technology production chain, a number of activities involving basic and applied research can be undertaken, but it is important to be able to discard some of the non-productive projects and concentrate, from time to time, upon those which have high commercial potential. 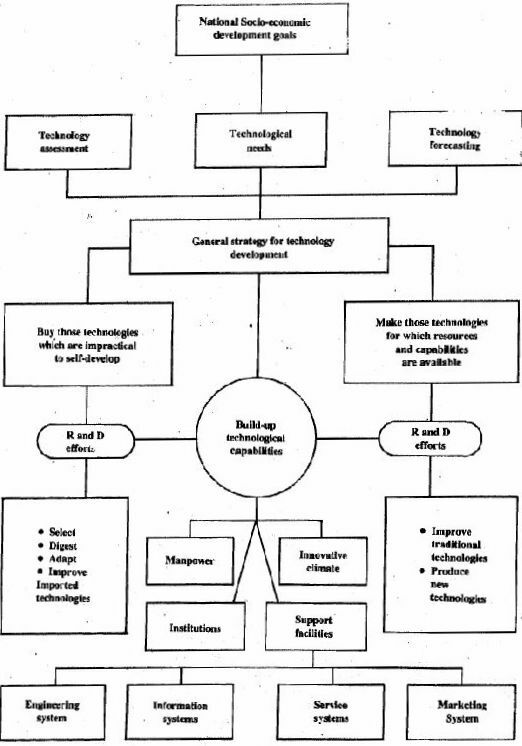 v) Technology development is best achieved through collective effort. Individuality, which tends to aim at being unique rather than practical, should be minimised. E-commerce is perhaps the most widely acclaimed buzzword, which gained popularity even aftermath of so-called dot com boom and diffusion. Every business aspect was being viewed with identifying business opportunities with the active support of IT tools especially Internet. Though various business models evolved and still the process of finding the most suitable model for different business propositions is continuing, the impact of e commerce practices can be felt and acknowledged without any reservations. 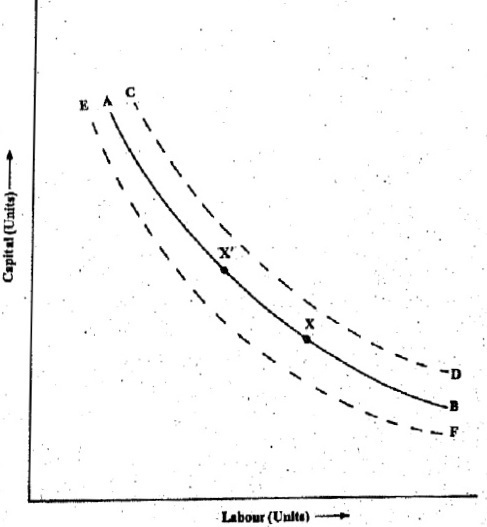 However this impact is varied across different nations due to their characteristic differences in economies. The trends in e commerce practices show that it will gain the requisite volume with the pace of IT revolution as seen across the world. This is a brief description of modern practices and emerging trends related to technology, design and security issues involved in e-commerce. Major technology and business companies such as Microsoft, AOL and Amazon.com are in the lead in developing and marketing wireless communications services and products required for facilitating business through wireless internet. AOL wants to make instant messaging available to all its customers and Amazon is already selling books using palm pilots. WAP (wireless application protocol) will be developed for use for wireless pages, instead of HTML. Portals are sites that combine a portfolio of basic content, communication, and commerce sites. For the most part, they started out as search engines. There are two different types of portals in use, broad-based portals i.e. sites that serve everyone. They include Yahoo!, AOL, MSN, Excite, Snap, Lycos, AltaVista, Look Smart, About.com, Juno, Earthlink, etc. Vertical portals are the sites that focus on a particular content category, commerce opportunity, or audience segment, with a broad set of services. Examples of such portals include CBS Sports line, Garden.com, eBay, Amazon.com, Blue Mountain Arts, CNET, etc.